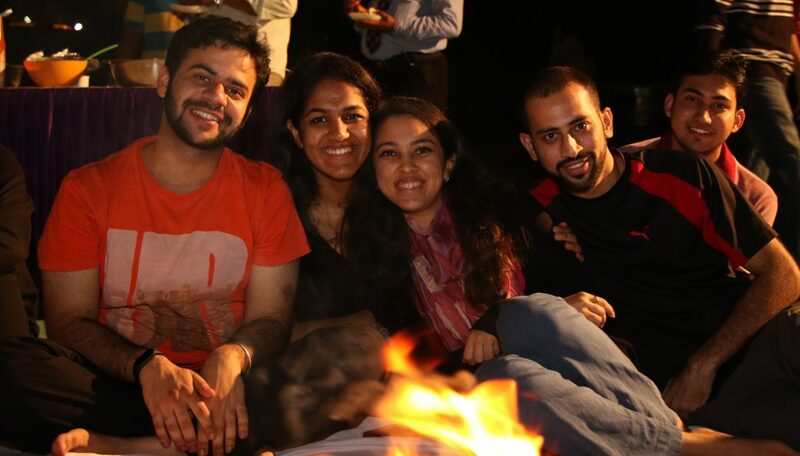 SPJIMR recently conducted an event called “Writers’ night” on the theme “The year that was” which provided a platform to the students to come and showcase their writing skills in a bonfire setting under the starlit sky. Sudarshan Ravichandran and Lakshmi Narayanan ( both first year PGDM participants) presented their wonderful experiences of the year gone by in the form of poetry. I sensed from far away, but laughed off the signs. Just a mirage in the desert, garbled phone lines. Turn a blind eye, because either ends up weeping. It was genuine, it was irresistible, it didn’t feel wrong. The head shook away in disapproval, the heart had taken charge. I stopped and stared in delight, my prize was won. The head sighed in relief, strangely the heart kept mum. The heart simply shrugged. I gaped in shock, thoroughly betrayed. Not at all. The end burst that bubble and how! I found out the hard way that night, I still have the scars. I know now, that I was just a dog chasing cars. (1) This line has been borrowed from the song “The Creator Has A Mastertape” of the album In Absentia (2002) by Porcupine Tree. We love those colors, oh, those crimson hues! Happiness is measured, never in excess! The year that was, has taught me a lot!